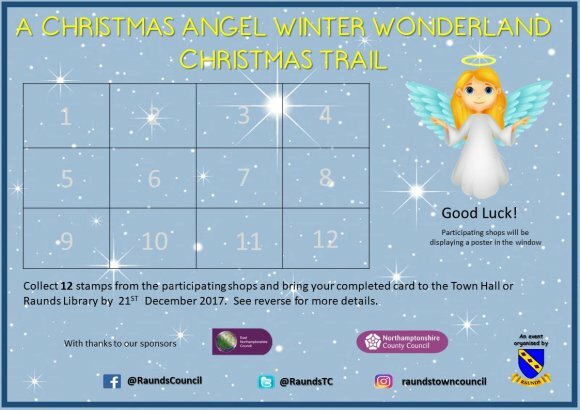 The Christmas Angel Winter Wonderland Trail will be launched on Sunday 26th November 2017 at the Christmas Lights Switch-on event and will run up to 21st December 2017. The object of the trail is to find our Angel, hiding in shops in the High Street/Brook Street. 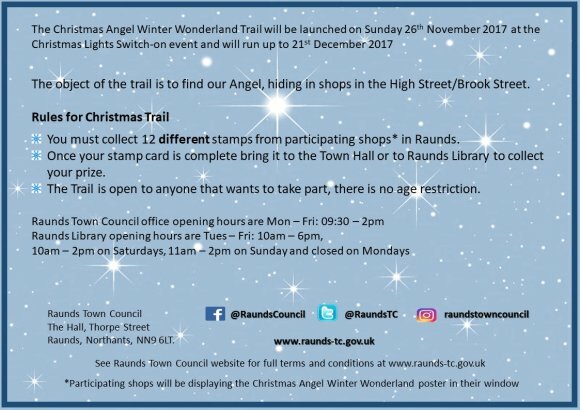 You must collect 12 different stamps from participating shops in Raunds. 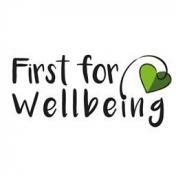 Once your stamp card is complete bring it to the Town Hall or to Raunds Library to collect your prize. The Trail is open to anyone that wants to take part, there is no age restriction.